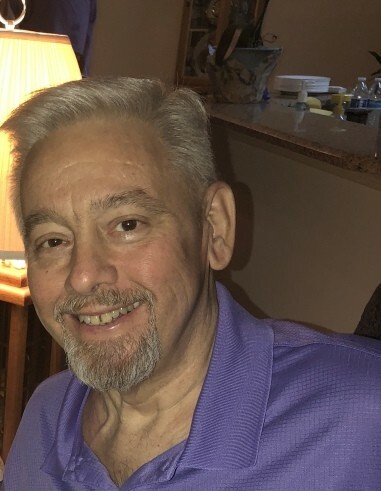 Michael David “Mike” Huggins, 62 of Lake City, passed away on Thursday, September 13, 2018, at the North Florida Regional Medical Center in Gainesville. He was born in Lake City to the late Luther Jackson Huggins and Glenda Claire Christie Huggins. Mike lived most of his life in Lake City and was a graduate of Columbia High School class of 1974 and played for the “Tigers” wearing #73. He was a member of Christ Central and worked in the youth ministry for many years. His passion was mission work and he traveled over 20 times with Wesley United Methodist Church to serve in Haiti. Mike loved his family and enjoyed spending time with them on their beach vacations. Survivors include his wife, Georgelle Knight Huggins, Lake City; son, Brandon Michael Huggins, Lake City; daughter, Taylor Huggins Riccucci (Matthew), Melbourne; brother, Jody Huggins (Rhonda), Charlotte, NC; two sisters, Christie Hogan (Jeffrey) and Casey Roberts (Aaron), both of Lake City; aunt, Raye Williams (Rudy), Jacksonville. Funeral services will be conducted on Sunday, September 16, 2018 at 4:00 PM at Christ Central, with Pastor Lonnie Johns and Pastor Dustin Busscher, officiating. Interment will follow at Forest Lawn Memorial Gardens Cemetery. Visitation with the family will be Sunday, from 2:30 PM till 4:00 PM, prior to the service at the church. In lieu of flowers memorial contributions may be made to His Heart Worldwide Ministries at 222 SW Melon Ct., Lake City, FL 32024 or to Healing Hands International Inc., at PO Box 1716, Lake City, FL 32056.